We frequently get the question, “What can I do to ensure my continued oral health?” Our answer always includes, “Make certain not to miss your bi-annual cleaning and exam!” Getting your mouth examined by our trained staff is a key component to a healthy oral hygiene habit. During your exam we evaluate your overall oral health to ensure that if there is a problem we can catch it early, while it is small and easily taken care of. Before your exam it would be a good idea to make a list of any medications that are prescribed to you. Bring the list to our office and let us know what you are taking, how much, and how frequently. If you have been experiencing any aches or pains the start of the exam is a great time to bring that up so we can focus on finding out what the underlying cause may be. We will check your gums for signs of gum disease, like gingivitis or periodontitis. We will also check you for signs of tooth decay. One of the most common things that we find during dental exams is signs of gum disease. Gum disease can be very hard to detect without the help of a trained dental expert. Frequently gum disease like gingivitis doesn’t give you any significant warning signs like discomfort or pain. Rather, gum disease can spread without you realizing it. Further, it can lead to issues like tooth decay, bone loss, and tooth loss. By scheduling a dental cleaning and exam with us every six months we can alert you to any warning signs or symptoms before the disease is able to progress. You can reverse gum disease if it is caught early. During exams we will also check your jaw for proper bite. 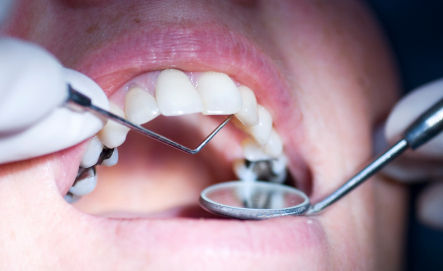 If your teeth aren’t aligning properly they can chip or crack. A misaligned jaw can also lead to jaw pain. People who are at the highest risk of jaw alignment issues are those who have lost permanent teeth in the past and those who have prosthetic tooth replacements like bridges, dentures, or dental implants. Prosthetics like these need to be checked on regularly, and exams are when we make any adjustments that need to be made. One of the staples of a dental exam is the X-ray. We do our very best to take note of any issues we can find in your mouth but there are issues that can lurk between teeth. Further some issues can be so small that they are undetectable to the naked eye. This is where dental X-rays come in. 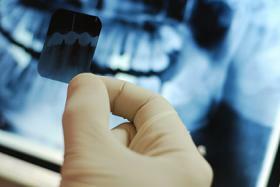 We take X-rays of your teeth that help us to see any issues that may be between your teeth or too small to see. Using a dental X-ray, we can sometimes even see cavities while they are still in the preventable stages. We will make you aware of the issue and let you know about any preventions options you have available. Please give us a call today at (315) 766-2770 to setup an dental examination. We look forward to your visit!